to its members through Advocacy, Commerce and Outreach in Collaboration with community organizations and businesses. training and shared resources are keys to business success. for business of all sizes to meet, discuss and share ideas to help stimulate growth. to our community and becoming recognized philanthropists is one of the most important goals of this chamber. “best practices“ with other chambers, corporations, and educational institutions both locally and globally. 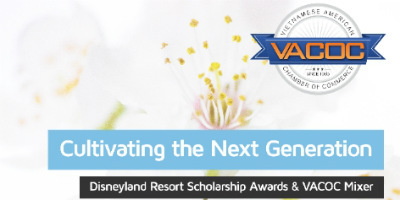 Stay Tuned for More Upcoming VACOC Events! Become a Member and Save Money! 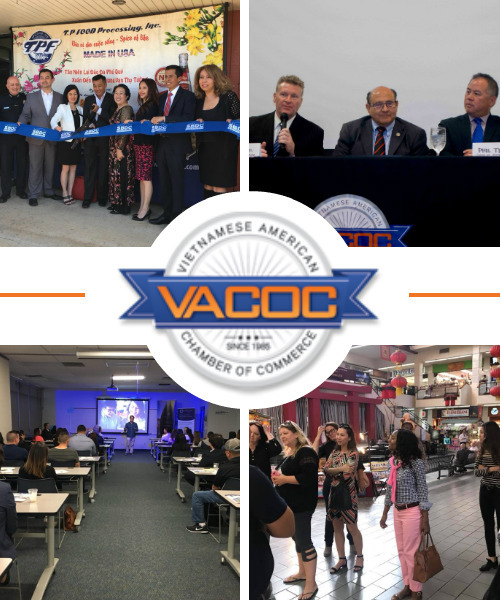 At the Vietnamese American Chamber of Commerce, we understand that our members and sponsors are the lifeblood of our organization. That is why we work hard to ensure that the contribution made to VACOC are applied towards initiatives that add value and strengthen our dynamic business community. 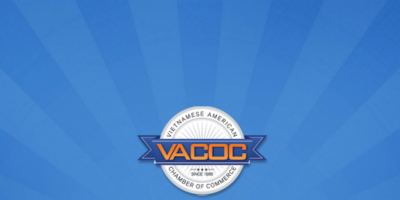 All resources go towards creating Workshops that provide business owners/community members access to valuable knowledge and expertise, Mixers for relationship and network building, and Community Partner Events that offer VACOC and its members a chance to give back and support the Vietnamese community at large and our vibrant culture.